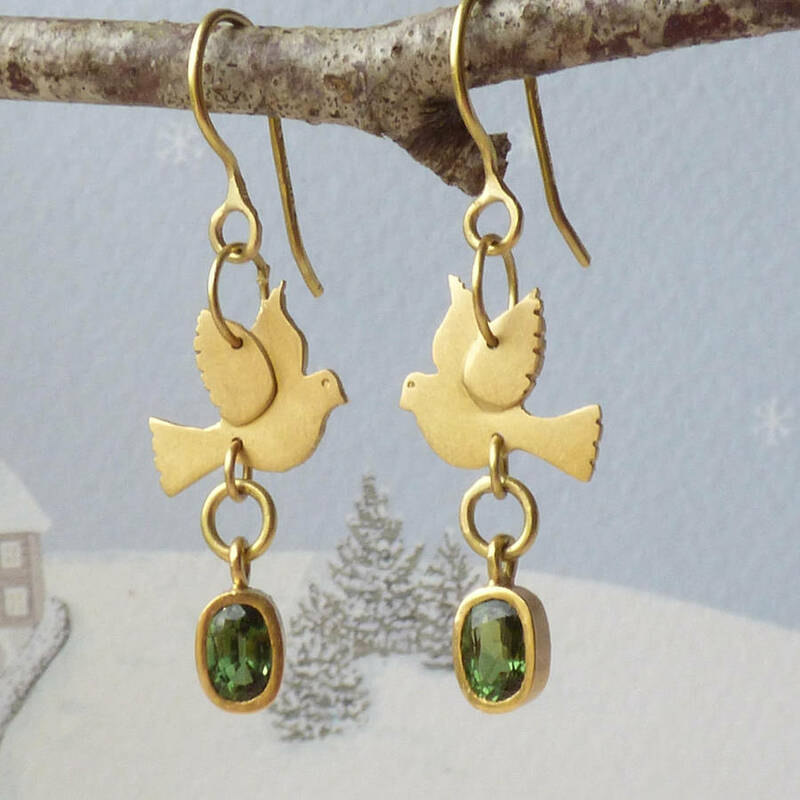 These striking one-of-a-kind 'Paloma' Earrings are made with 18ct recycled gold and oval green sapphires the colour of laurel. They are the artisan amulet for peace and love. 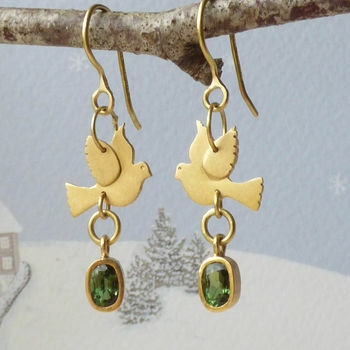 These pretty Paloma dove earrings would look perfect on any bride but also look great with jeans and t-shirt, everyday. These earrings have a special place in my heart as I made them to honour my daughter – Paloma, who was born in Ibiza, 9 years ago. Paloma is the spanish word for dove, and Palomita means little dove. Paloma earrings are part of my Animal Amulets Collection which is inspired by the Ancient Egyptians who wore jewellery primarily as protection. Doves are the ambassadors of peace, innocence and compassion.